"I'll eat you up, i love you so!" 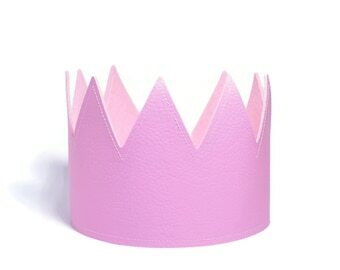 The perfect crown for your little wild one! 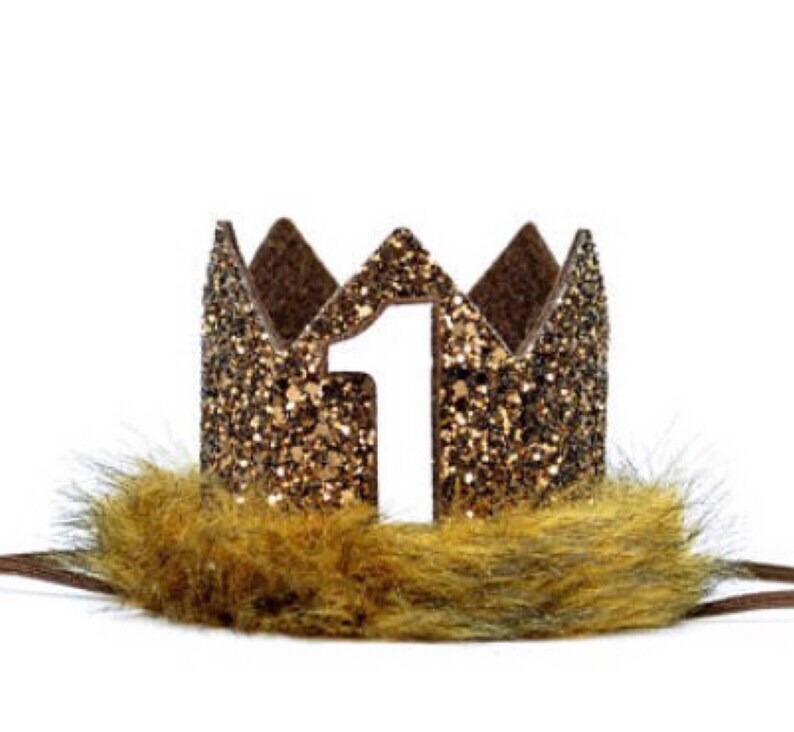 Medium BROWN GLITTER crown with faux WOLF fur, with or without a WHITE number backed in CHOCOLATE felt. Select from the dropdown if you would like a plain crown, or a crown with a number. Please leave a note for the number you would like, if needed. Our crown headbands are attached to a comfortable skinny elastic and meant to be worn around the back of the head, behind the ears. (Not under the chin). Crown measures 2.75" tall and 3" wide and will sit on top of head as shown in the photos. Tilt to the side for a fun, whimsical look! LITTLE BLUE OLIVE CROWNS are the perfect accessory for birthday celebrations, memorable photo shoots and every day fun for dress up. 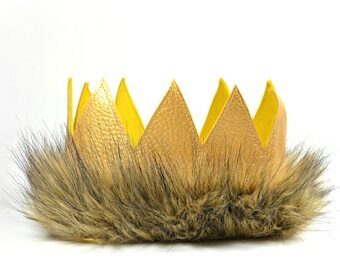 Our crowns are hand crafted of a high quality, USA made wool blend felt. Our crowns are made with a firm bottom for amazing stability! (Very few competitors use our construction style!!) We are the "original" crown headband designers since 2012 and very proud of our designs and reputation. We know you will be wowed and satisfied with your purchase! Add a tail for the complete set! Looking for a darling shirt to compliment our Max crown? Check out Plucky Mustard! 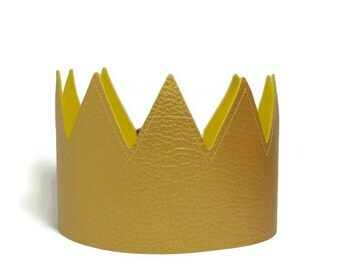 This crown is so adorable and will be perfect for my son’s “Where the Wild Things Are” “Wild One” party theme. This shipped super fast!